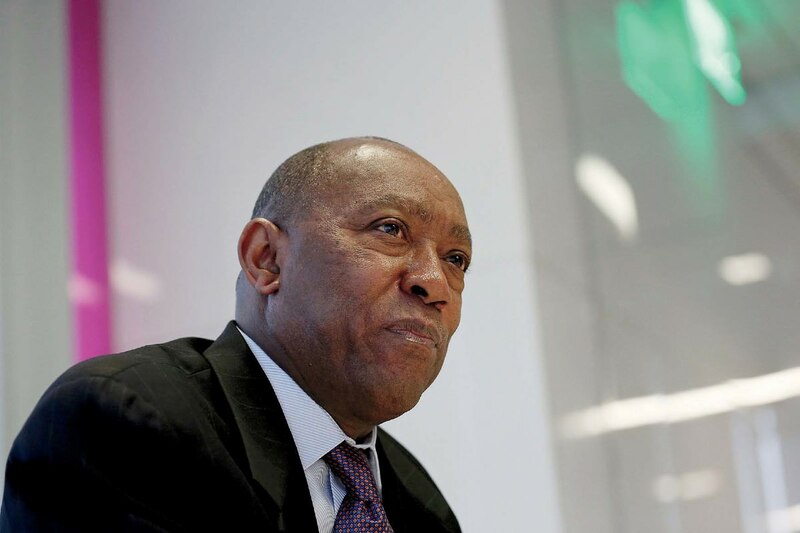 Houston's new, homegrown mayor promises a "transformative" tenure. In January, the newly elected mayor of Houston, Sylvester Turner, J.D. ’80, donned work gloves and safety goggles, picked up a shovel, and spread hot, smoking asphalt over a gaping pothole on Neuens Road in West Houston. As news reporters watched, the small-framed, powerfully built 61-year-old announced that this was the 936th cavity plugged since he took office. In a city facing budget deficits, $5.6 billion in total pension liabilities, and plunging oil prices that are gutting the local energy-driven economy, potholes might seem like a low priority. But drivers who endure the notoriously cratered streets have welcomed Turner’s focus on road repair; roughly 10,500 potholes were filled in January and February—nearly all of them, as he had promised in his inaugural speech, within one business day of being reported. In truth, Turner has always been home. Born and raised in Houston, the centrist Democrat spent 26 years in the Texas legislature, most of them on the appropriations committee, where he earned a reputation as a pragmatic coalition-builder. Yet he has long sought the mayoral office: after two failed attempts in 1991 and 2003, he won last December’s runoff election over Republican businessman Bill King by just under 4,100 votes. Turner grew up in Acres Homes, a semi-rural African-American neighborhood in northwest Houston, where he still lives. “I didn’t realize I was poor,” he notes, “until people told me I was. My parents always found a way to make sure there was food on the table. I had a roof over my head. I had clothes.” He shared a single bedroom with his eight brothers and sisters. His father, a handyman, died when Turner was 13, leaving his mother to support the family on her salary as a maid at a downtown hotel. He remembers listening closely to Texas congressman William Reynolds Archer Jr., who visited the school and talked about the “role of government and the importance of participating in politics,” Turner says now: “I was impressed, even though he was a Republican.” By the time Turner graduated as valedictorian, he had been elected president of the student council and “Mr. Klein High School,” and had been the school’s debate champion for four years. Among his heroes were Martin Luther King Jr. and John F. Kennedy; he recited their speeches over and over again at home, practicing his delivery. “I would pull out JFK’s speeches and get in front of the mirror and do my thing,” he says with a laugh. At the University of Houston he studied political science and was the only African American on the school’s debate team. He applied to law school despite not knowing a single lawyer (nearly everything he knew about the profession came from television shows like Perry Mason), and was bound for the University of Texas at Austin until two of his professors took him to lunch and urged him to reconsider Harvard, where he had also been accepted. “For any student, it would be a tremendous plus to go to Harvard,” one of them told Turner, “but especially for an African American.” Turner did some research, talked to his mother and friends on the debate team, and then, despite never having lived outside Houston, headed to New England. In 1977 he landed at Logan Airport with all his belongings in a single footlocker. He soon met a fellow African-American first-year from Wyoming, and the two rented an apartment in Central Square. “Both of us came from relatively poor families, so we went to the Salvation Army” thrift shop to buy furniture, and carried it home through the city streets, Turner reports. “It was only when we went to pick up the television, that the cops stopped us,” he adds. “Somebody saw two black guys carrying furniture and had called the police.” The young men had to produce their Harvard IDs before the police let them go. Following two failed runs, the election-night victory was especially sweet for Turner. It helped, Barnes notes, that “Sylvester never gives up on anything. He’s a litigator by nature, and a fighter.” Being mayor, Barnes believes, was already in Turner’s mind by 1984, when he first ran for office, for a seat as a Harris County commissioner. He lost that race, badly, to a local political heavyweight, El Franco Lee. Four years later, however, he ran for the state legislative seat representing the district that included his Acres Homes neighborhood—and won. During his nearly three decades in that post, Turner became a leader of the Democratic delegation, and, from 2006 to 2016, served on the 10-member conference committee that writes the state budget. But the main reason Houston can’t fix its streets or hire enough police officers to patrol them is that in 2004 its voters approved a draconian revenue cap that limits increases in property-tax collections to the combined rates of inflation and population growth, or 4.5 percent, whichever is lower. Last year the city took in too much money, so it was forced to cut tax rates to the lowest level since 1987. “We’ve got a cap that says, even when a growing city generates a certain amount of revenue, we can’t take advantage of it,” says the mayor, clearly frustrated. In March, citing that cap, the city’s high fixed costs and unfunded pension liabilities, and low oil prices, Moody’s Investor Services downgraded Houston’s general obligation limited tax rating to Aa3 from Aa2. Michael Hardy is a freelance journalist based in Houston.